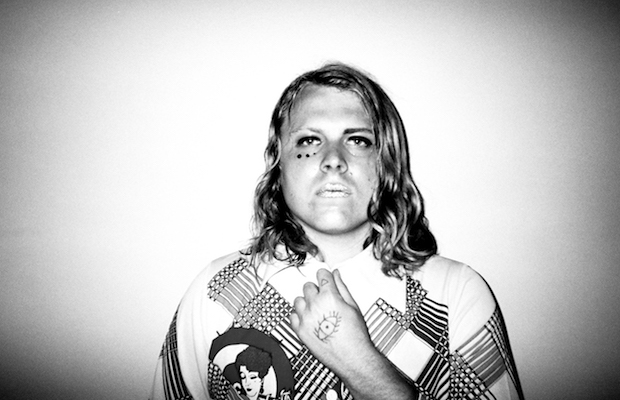 Typical out-of-the-box Ty Segall thinking has led to the unorthodox release of his latest gift to music fans, Emotional Mugger. It is the prolific Segall’s second album in just the last six months, the other being his sophomore effort with one of many side projects, a band called Fuzz (we told you all about their recent show in Nashville in this post). Ever since it was first announced, we knew this was going to be a weird one, even by Segall standards. Clues in the form of bizarre instructional videos, a new website, and even a hotline (1-800-281-2968) all hinted at the direction Emotional Mugger might take in recent months. Fans of the SoCal psych/garage rock demigod rejoice, because today is the day that Emotional Mugger is officially available via Drag City, and ready for mass consumption. You can order it in a variety of physical and digital formats from Ty’s label, iTunes, or Amazon, and stream the whole thing below thanks to the good folks at NPR! And don’t forget, Ty’s coming back to Mercy Lounge on Feb. 22, with the album’s backing band, The Muggers. Tickets are just $18, and as hot as this dude has been as of late, you better jump on them while you can. So snag a pair, and click on after the jump for further emotional mugging.